Outdoor Patio Furniture & Accessories | Chairs, Tables, Umbrellas +More! 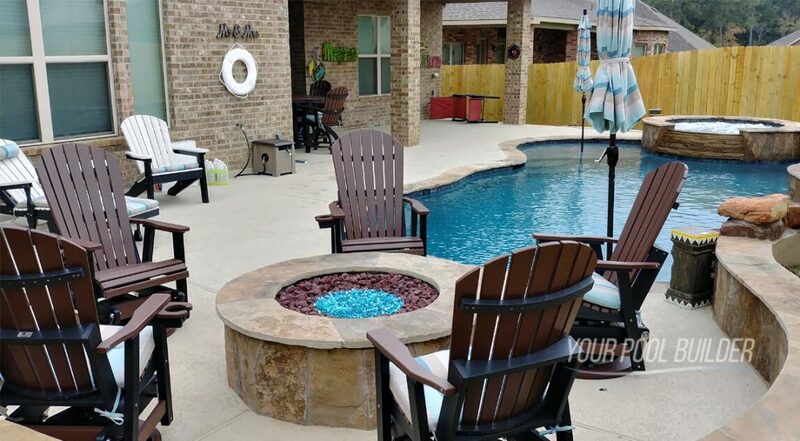 There are better options when it comes to outdoor furniture, and we have found them! Are you tired of constantly replacing your patio & deck furniture, sanding, re staining, or even the expensive powder coatings? Do you want quality American Made outdoor furniture that NEVER needs special attention, that will last for a lifetime? 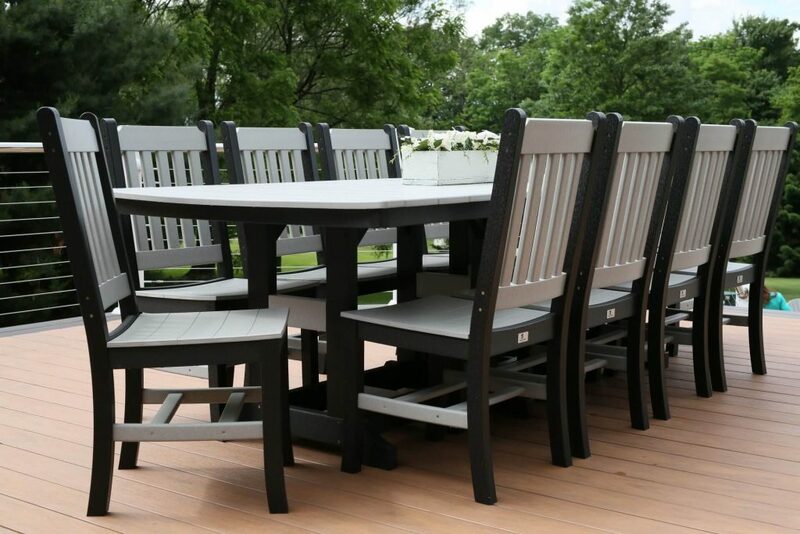 In Montgomery County there is a local family owned company that specializes in designing and creating nearly indestructible outdoor furnishings. Using recycled milk jugs this is not your ordinary big box store brand patio furniture. 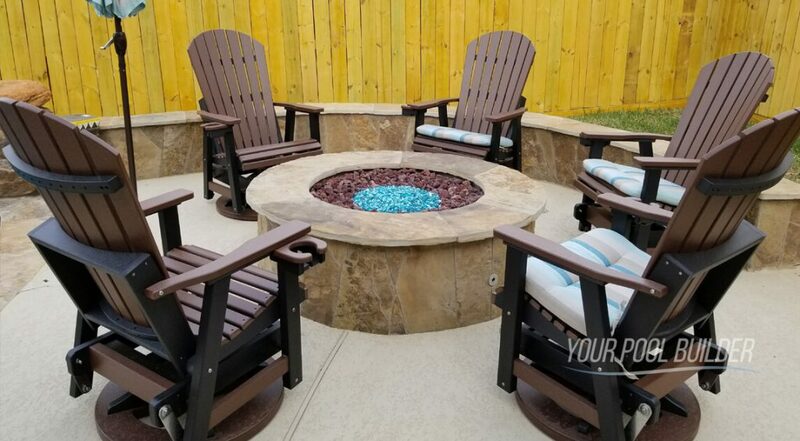 If you are ready to enjoy your outdoor furniture and never worry about tedious and time-consuming furniture refinishing and repairing projects, then this is the product for you! Local business owners, Susan & Tom Broerman have been serving the greater Houston & Conroe area for 5 years – We earned a Top Dealer Award from Berlin Gardens in 2017! Are you tired of receiving your furniture in a box from China that is missing parts and/or the instructions are in a language you don’t understand? We avoid that, we speak English and will assemble the furniture for you from our All American made products. We carry the entire Berlin Gardens product line; we have at least one piece to sit in and try out in each of the many styles, heights, and back styles in the chairs, tables and accessories. All products are shipped at no extra fee to your door! If we are within 30 miles of you we will assemble and deliver the furniture to you. If you choose the assembly option or you may choose to have it sent to you by UPS or a similar carrier and assemble it using the provided instructions. We have a large selection available for immediate pick up or delivery at both our Magnolia and Lake Conroe stores. Stop by and visit to see how beautiful, comfortable, and durable all of our furniture styles and choices are! Are you ready to Swivel in Style? Susan Broerman takes after her mom, an entrepreneur with a heart to provide a better product. Susan takes great pride in her outdoor products and listens very carefully to her client’s needs. Together, teemed up with her husband Tom, daughter Chloe, and store manager Linda they take care of each customer as if they were part of the family. 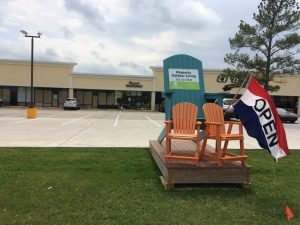 We are proud to sponsor Magnolia Outdoor Furniture as the NUMBER ONE patio furnishings provider in the Montgomery County & Harris County areas. 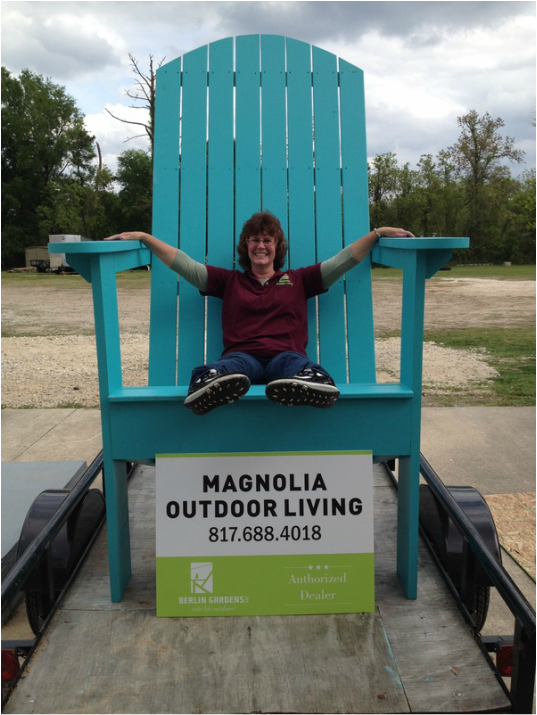 Call or Visit Susan at Magnolia Outdoor Living TODAY! 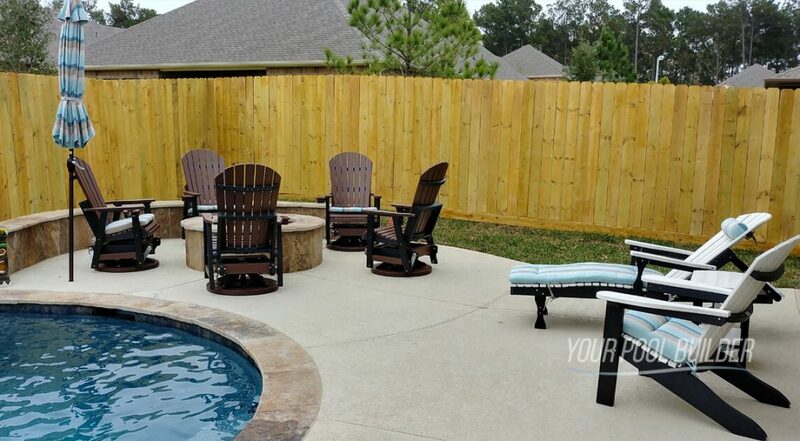 "In my experience these outdoor items are built of the best quality that I have seen, along with the color choices and fabrics available I certainly would not recommend anything else to our new pool clients."